I think we’ve all been there. Sat in a conference room, probably with no wifi, wondering how long the jabbering idiot on stage will take to finish what amounts to a sales pitch for his company. Of course not all events are like this, but many are. At risk of never being invited to speak at one again I find the worst offenders are those who should be the best at creating conferences – the conferencing companies who have created conferences for years and specialise in doing so. Marcus Evans and Informa should be experts in this field, leading innovation and producing the most engaging events. Sadly that is not the case. The dinosaurs of the corporate conferencing business suffer the same stagnation of ideas and lack of evolution as the lumbering incumbents of so many industries. Unable or unwilling to escape the confines of their tried and trusted product, have been doing the same thing with increasingly diminishing returns to the attendees for far too long. In 2008 I was invited to an old Munich hotel on a mountain side. Stuck in this rather shabby excuse for accommodation with 14 others (it had not been open for business in 15 years) we were gathered there at the invitation of Harald Neidhardt. 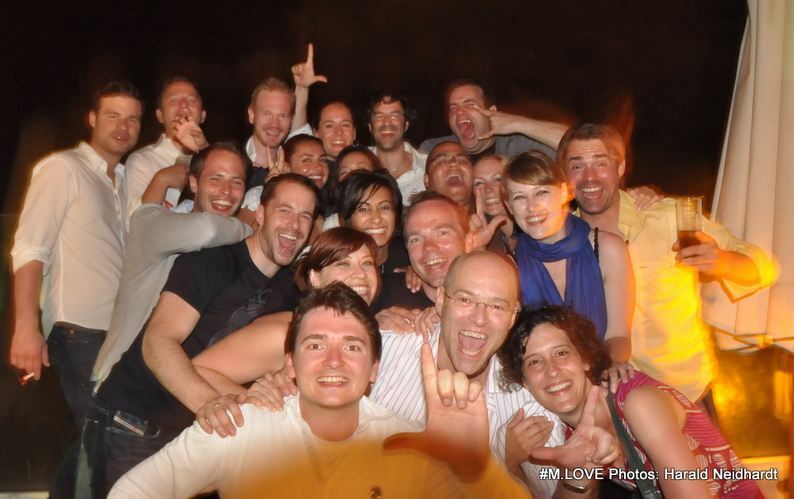 Harold chose 15 people he found inspiring, who respected and liked, from the burgeoning mobile industry and persuaded them to stay in a remote building in the German countryside for a weekend with no pre-conceived agenda, other than to create what he called “MLOVE”. An abbreviation of “Mobile Love” Harald wanted to harness the energy and innovation he repeatedly stumbled across in the tech industry (he’s currently CMO at Smaato) to create a group whose collective ability and enthusiasm would be greater than it’s whole, toward a goal he had yet to define. Over the next 18 months, with contribution from that 15 (including Peter Giblin, Jonathan McDonald, Stefanie Hoffman, René Bellack, the Roeder brothers Philip and Michael, Mark “nobody calls him Mark” Schmöger) and some other key people, the MLOVE collective decided that a next generation conference was the best vehicle to execute the chosen mission of: inspiring people to inspire others in the mobile industry through telling stories and sharing experience. With help from a core team and Director of the first conference, Pete Giblin (a veteran conference Director, Curator and consultant) MLOVE appeared for the first time in June of 2010. Pete’s contribution to the vibe and feel of the event should not be underestimated; he reached into his wide network to find truly inspirational presenters and created a program which represented something truly different – from a budist monk as opening keynote to one of the worlds biggest ever augmented building projection shows (impossible to experience properly on a computer screen) by Projektil. Jonathan McDonald added his exuberant MCing alongside Pete and Harald and even I pitched in (OK so yes I’m bias) and the schloss became a hive of digital mobile activity. Features. Since then, the first MLOVE Confestival (a word which everyone felt better represented the highly interactive nature of the event than simple a ‘conference’) has continued to be held in an old East German Schloss (castle) each early Summer. I then summed up that perhaps MLOVE aspires to take the inspiration, education and high fidelity of the TED conference series and combine it with the trusted community, freedom of expression and environmental consciousness of the Burning Man festival. With a modest 150 attendees reporting back unanimously with “wow” and “best event I’ve been to this year” in 2010 I think we succeeded in doing that. Mobile IS the Internet, it’s the future of us all. In 10 years, we’ll scarcely remember the days of tapping at our desktop PC … and MLOVE’s re-imagining of the conference concept seems timely. As celebrated in the collective conscious theory of French sociologist Émile Durkheim, unique ideas are seldom entirely unique – springing up at a similar time in disparate parts of the globe and in isolation. In the same way as internet or mobile start-ups, or indeed any business idea, the secret sauce is actually in execution, in other words, talk is cheap. Then there was Summit Series – a new invite only conference held on a cruise ship, in a ski resort, the partying (thus building of bonds and connections) being as important as the speakers on the stage. Seeing the arrival and evolution of Summit Series and other new events reassures me that both those and MLOVE are on the right track; there is an audience and business community readier than ever to engage on a more human level than the dry corporate format of traditional events. Convergence is not just rife within mobile, online and other technologies but amongst business verticals themselves. An overlap of interests, cultures and profits is being fuelled by rabid globalisation and the ubiquitous information age. With everything from computing power, to social networks and supermarkets getting bigger and better, more people strive for a personal connection – the irony of the connected, IM, SMS, newsfeed ridden “social” enabled revolution. People are yearning for more meaningful relationships in the real world. MLOVE is not a big event at around 200 people, but the likes of TED and Summit Series (both of which have a few more years under their belt) have grown steadily as the clammer for access to these unique experiences and the people who attend them, increases. I believe it’s not so much a matter of conscious elitism by organisers to take the “invite only” route, moreover a profound need to not break the event – not to smother the personal trusted environment they strive to create. It helps create an atmosphere of a temporary “community” where relationships can be forged and ultimately deals done either to stir the capitalist cauldron or the philanthropist’s pot. 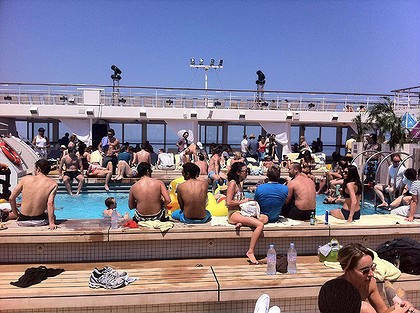 Sea Summit, started 6 years ago with a gathering of just 20 people, in 2011 took around 1000 invited people onto a massive cruise ship – dubiously called the Celebrity X – for a 4 days cruise out of Miami, stopping at a Bahamas island for the day in the progress. I’ve been struggling to describe Sea Summit since attending – it was a hedonistic mix of inspirational speakers, partying, shark tagging (for conservation tracking) partying to Swedish House Mafia DJ Axwel, free booze and a lot of talking. Perhaps then “extreme networking” might be the best description. At $4000 and up such an event doesn’t come cheap, but it does give you unfettered access to a wealth of knowledge, new relationships and have fun in the process. Shai Agani spoke of his revolutionising the electric car, rolling out a unique but ubiquitous charging network in Denmark and Israel. I met an Astronaut called Scott (no relation) who has flown up and literally fixed the international space station, climbed mount Everest and is now curing cancer with nano technology. Rob Stewart and I talked about the horror of shark fin soup and his next documentary which is about saving the human race from itself. Summit Series made me feel on the one hand like a complete under achiever but on the other that I could perhaps contribute value to many of the projects and people from industries outside my realm who need my experience and expertise. My biggest criticism was Summit Series it would likely benefit from a better geography of attendees (many were from San Francisco or New York) if only as when trying to change the world, it would be good to hear from more of the world. No event is perfect though and the eager team at Sea Summit have created something from which the momentum is tangible and if the comments on twitter post conference are to be believed, blew many of the attendees expectations out of the water. I’ll certainly be back for more in 2012. At the more intimate extreme you have the http://www.dolectures.com/ , which have been quietly breaking the mould since 1996. They have a cult following and demand is extremely high. Alan Moore <alanm@smlxtralarge.com> introduced me to DO, saying “Just go”. Inevitably, the world is full of events the many of which I’m likely not aware of. The few I’ve mentioned represent the future of “conference” events as I would like to see them and I hope they will help banish the un-interactive one-to-many talk-at-me sessions of old. Rather than lengthen the red carpet, TED have recently widened it introducing TED-X 24 months ago, democratising it’s brand. It’s a model which I suspect others are likely to follow (MLOVE has similar future plans). In April TED proper also ran a campaign asking potential new speakers to submit a 1 minute YouTube video to be considered for a full audition in New York to potentially speak at the main event. It’s great to see them thinking differently to maintain the flow of disruptive content. If you haven’t already, check out www.TED.com where there is a library of free videos which will lose you for hours. 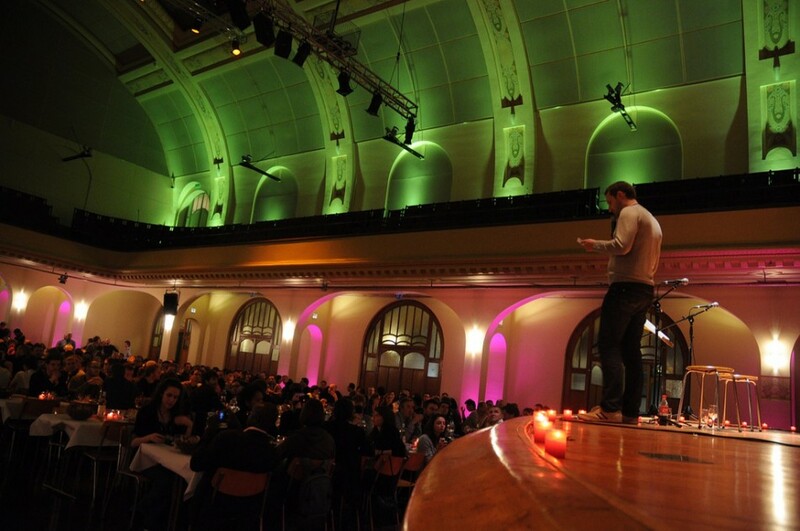 Whether you’re working in tech, social enterprise, non-profit, film or elsewhere, all these conferences will provide value, connections and inspiration. The best test is to ask those who have been. I write this while I’m at MLOVE Europe 2012. As ever it’s a disparate group of wonderful people in a castle in the middle of nowhere. The rustic adhoc vibe creates an environment ripe for building relationships which last – and the free bar fuelled by the eccentric owner Armin doesn’t hurt either. The next MLOVE Confestival is in Japan Q4 2012. Sign up now and hope to see you there! NB: Lastly, apologies if I missed anyone off this blog post – the MLOVE team over the years has had the support and assistance from so many great people it was not possible to list everyone here! 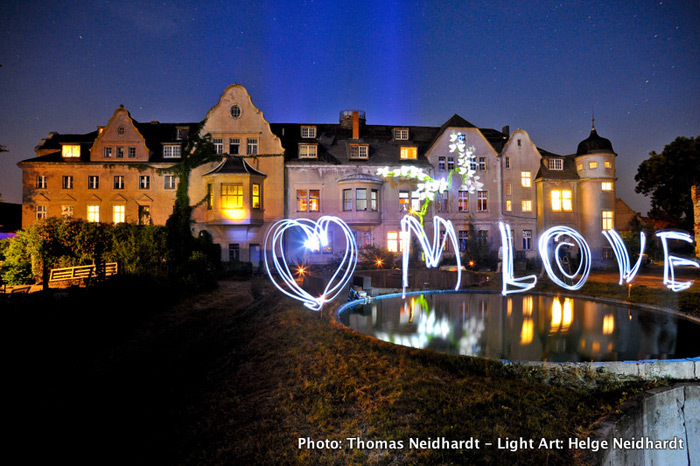 MLOVE will take you out of a regular hotel conference environment and put you in a 100 year old German Schloss, alongside peers who are guaranteed to educate and entertain you. 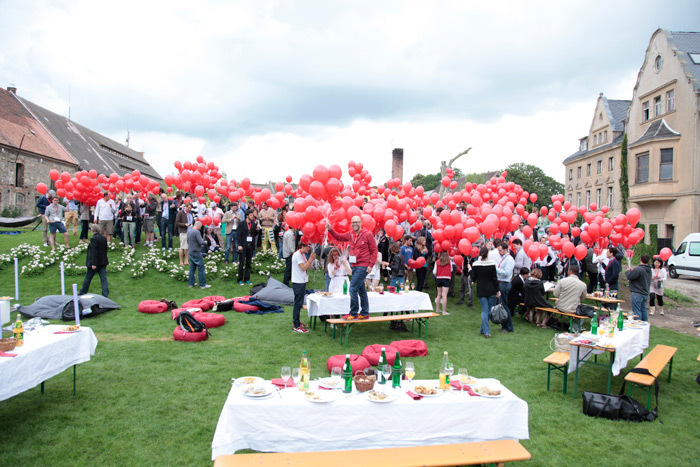 The MLOVE society is resolved to build on the success of MLOVE 2010 with a second Confestival in Europe which kicks off in just 36 hours and you can still grab a last ticket now! Meanwhile, there will be MLOVE Camps throughout 2011; MLOVE Barcelona Camp was held in February 2011 after Mobile World Congress and further Camps in London and San Francisco are pencilled in for the Summer and Fall and conferences outside of Germany during 2012: help us. Harald (MLOVE Founder), attendees and MLOVE advisors at the Barcelona MLOVE Camp 2010. More camps coming: make sure you're there!